Too busy to work out on a daily basis? 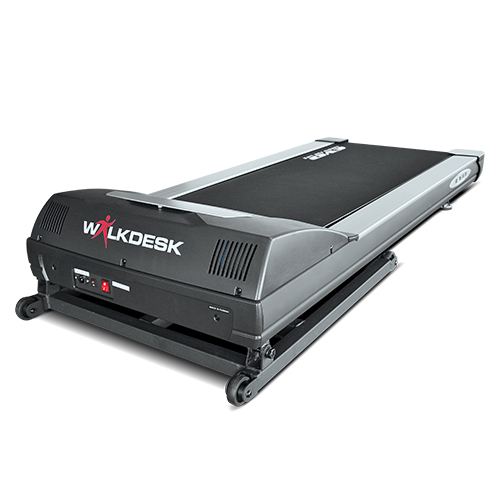 Turn to the Walkdesk™, which encourages you to walk slowly on a treadmill while you talk to clients or catch up on your e-mail. 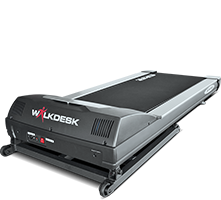 The Walkdesk™ WTB100 is our high-use treadmill base and console. It is simple: just install the WTB100 under your desk and start to work as you walk. The Walkdesk™ WTB100 base fits perfectly under most standing desks making it easy to turn your standing desk into a walking desk. The small console has the perfect size to place on your desk so it will not get in the way of your work. 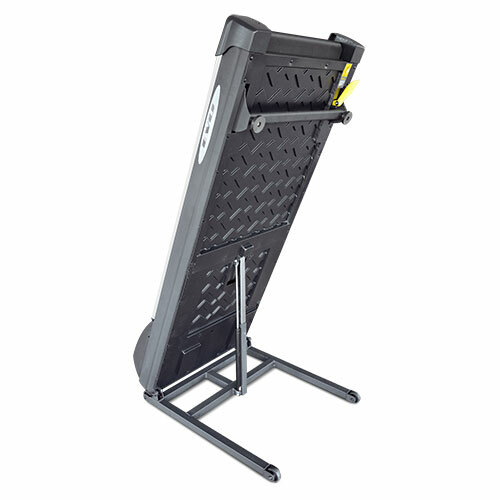 Because the walking speed is very important, the Walkdesk™ was designed and engineered to be used for walking at slow speeds for extended periods of time. Our engineers have modified the engine so that it can contribute to a lower traction which is not really evident without burning the motor (a complaint we hear frequently if an ordinary treadmill is used as a Walkdesk™). 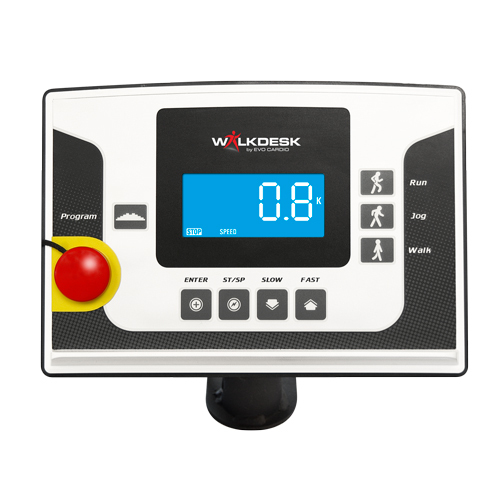 The Walkdesk™ WTB100 will start at 0.8-6 km/h with a maximum speed of 6 km/u. Most Walkdesk™ owners find that walking between 1.5–3km/h is an ideal speed that allows them to do what they would normally do when sitting down. 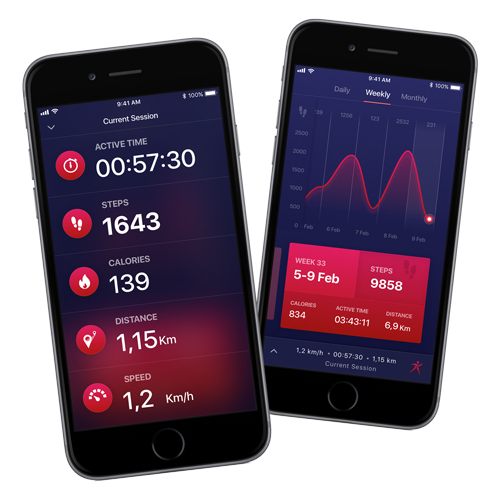 If you plan a cardio training at your desk, walking at 6 km/h, do not expect to get any work done at this speed. Vertical foldable treadmill, so it takes less space when stored in folded position. The specially developed 2.5 hp motor will never become overheated, even at a slow walking speed, one can walk as long as necessary. The LCD control display has a modern design and can be mounted on the left or the right side of the desktop. Switch simply from slow to medium or fast with the 3 quick-touch buttons.